“It sounds bizarre but I wasn’t that overwhelmed or excited to have scored my maiden Asian Le Mans Series win last Saturday evening – which maybe sounds ungrateful or blasé – so let me explain. I’m someone who needs to earn something like a race win, I want to be challenged and fight for glory – and not get something handed on a plate. It was a bit like that in ELMS last year when Filipe and I won at Spa in the red-flagged Spa race. I got much more pleasure from our Portimão victory in the next race. 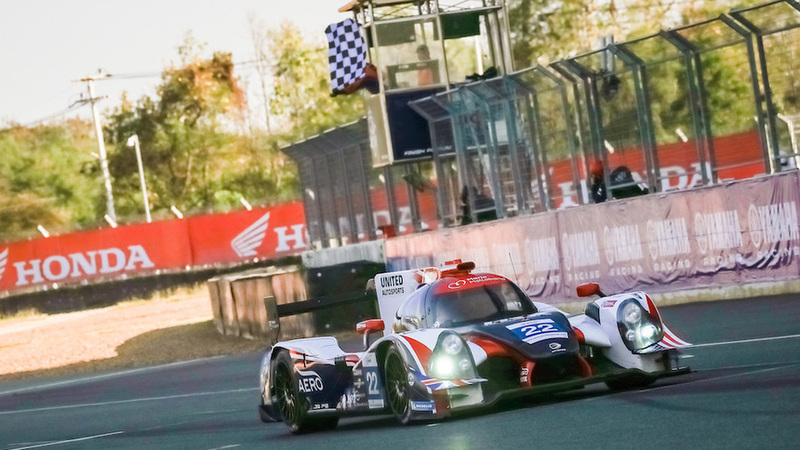 And while United Autosports fully deserve its maiden outright Asian LMS race win and especially our LMP2 Team Manager Trevor Foster, the #22’s engineer Gary Robertshaw and the rest of our crew who all work so very hard for us, Paul [Di Resta] and I were never seriously challenged. I was maybe overly cautious at the start and dropped to third from my front row start but I was in the lead by lap four and our car was never headed all the way to the chequered flag after 158-laps. In the end we took the chequered flag 2mins 18secs ahead of the #24 Algarve Pro Racing Ligier of Andrea Pizzitola/Harrison Newey/Ate Dirk De Jong. The #24 started from pole-position and had very good pace but suffered contact with a GT car plus a puncture costing them valuable time. Meanwhile Paul and I had a completely trouble-free run combined with a great strategy call from Gary to pit me under Full Course Yellow conditions. Our lead was 41secs, 45secs and 58secs after hour one, two and three so as you can see, we had a very comfortable time in the 4 Hours of Buriram. As ‘comfortable’ as you could possibly be racing in an ambient temperature in the mid-30s in a closed cockpit car with no air conditioning! I don’t think Buriram was our strongest performance, I believe the previous race at Fuji was stronger and maybe even the opening race in Shanghai. I struggled a little with my pace in practice but thankfully it was better for qualifying. Our Ligier wasn’t bad in any respect but I don’t think it was as good as we’d had it in China or Japan for whatever reason. The reason could be as simple as the configuration of the Chang circuit.